Lineage. Constituted as 421 Night Fighter Squadron on 30 Apr 1943. Activated on 1 May 1943. Inactivated on 20 Feb 1947. 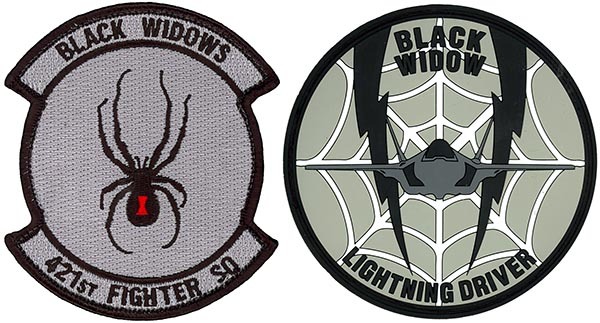 Redesignated as 421 Tactical Fighter Squadron, and activated, on 13 Apr 1962. Organized on 8 Jul 1962. Redesignated as 421 Fighter Squadron on 1 Nov 1991. Assignments. 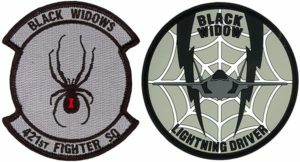 Air Defense Department, AAF School of Applied Tactics, 1 May 1943 (attached to 481 Night Fighter Operational Training Group, 17 Jul-7 Nov 1943); Fifth Air Force, 23 Dec 1943; V Fighter Command, 29 Dec 1943 (apparently attached to other organizations for operations); 86 Fighter Wing, c. 1 Feb 1945; V Fighter Command, Apr 1945; 315 Composite Wing, 31 May 1946-20 Feb 1947. Tactical Air Command, 13 Apr 1962; 355 Tactical Fighter Wing, 8 Jul 1962; 835 Air Division, 8 Nov 1965; 6234 Tactical Fighter Wing, 20 Nov 1965; 388 Tactical Fighter Wing, 8 Apr 1966; 15 Tactical Fighter Wing, 25 Apr 1967; 4531 Tactical Fighter Wing, 1 Jul 1967; 23 Tactical Fighter Wing, 14 Dec 1967; 366 Tactical Fighter Wing, 16 Apr 1969; 432 Tactical Reconnaissance (later, 432 Tactical Fighter) Wing, 31 Oct 1972; 388 Tactical Fighter (later, 388 Fighter) Wing, 23 Dec 1975 (attached to 388th Tactical Fighter Wing [Deployed], [later, 388 Tactical Fighter Wing (Prov)], 28 Aug 1990-27 Mar 1991); 388 Operations Group, 1 Dec 1991-. Stations. Orlando, FL, 1 May 1943; Kissimmee AAFld, FL, 4 Oct-7 Nov 1943; Milne Bay, New Guinea, 4 Jan 1944; Nadzab, New Guinea, c. 1 Feb 1944 (detachment operated from Wakde, 28 May-21 Sep 1944); Owi, Schouten Islands, 28 Jun 1944; Tacloban, Leyte, 25 Oct 1944; San Marcelino, Luzon, 8 Feb 1945 (detachment operated from Tacloban, Leyte, 9 Feb-23 Mar 1945); Clark Field, Luzon, 26 Apr 1945; Ie Shima, 24 Jul 1945; Itazuke, Japan, 25 Nov 1945-20 Feb 1947. George AFB, CA, 8 Jul 1962; McConnell AFB, KS, 21 Jul 1964-Nov 1965 (deployed at Incirlik AB, Turkey, 18 Sep-19 Nov 1964; Kadena AB, Okinawa, 7 Apr-27 Aug 1965); Korat RTAFB, Thailand, 20 Nov 1965-25 Apr 1967; MacDill AFB, FL, 25 Apr 1967; Homestead AFB, FL, 1 Jul 1967; McConnell AFB, KS, 14 Dec 1967-16 Apr 1969; Da Nang AB, South Vietnam, 16 Apr 1969 (deployed at Kunsan AB, South Korea, 23 Apr-26 Jun 1969); Takhli RTAFB, Thailand, 27 Jun 1972; Udorn RTAFB, Thailand, 31 Oct 1972; Clark AB, Philippines, 13-23 Dec 1975; Hill AFB, UT, 23 Dec 1975- (deployed at Central AB, Al Minhad, United Arab Emirates, 28 Aug 1990-27 Mar 1991). Aircraft. P-70, 1943-1944; P-38, 1944-1946; P-61, 1944-1947. F-105, 1963-1967; F-4, 1969-1975, 1976-1980; F-16, 1980-. Operations. Combat in Southwest and Western Pacific, 29 Feb 1944-14 Aug 1945. Not manned, 8 Jul 1962-5 Mar 1963, 25 Apr 1967-16 Apr 1969, and 13 Dec 1975-1 Dec 1976. Combat in Southeast Asia, c. 28 Nov 1965-24 Apr 1967 and 27 Jun 1969-15 Aug 1973. Combat air cover for the evacuations of Phnom Penh, Cambodia, and Saigon, Vietnam, Apr 1975. Air cover during the recovery of the SS Mayaguez and its crew, May 1975. Combat in Southwest Asia, Jan-Feb 1991. Trained to deploy worldwide to conduct daylight and nighttime air superiority and precision strike missions, 1991-. Campaign Streamers. World War II: Air Offensive, Japan; New Guinea; Bismarck Archipelago; Western Pacific; Leyte; Luzon; Southern Philippines. Vietnam: Vietnam Defensive; Vietnam Air; Vietnam Air Offensive; Vietnam Air Offensive, Phase II; Vietnam Summer-Fall, 1969; Vietnam Winter-Spring, 1970; Sanctuary Counteroffensive; Southwest Monsoon; Commando Hunt V; Commando Hunt VI; Commando Hunt VII; Vietnam Ceasefire. Southwest Asia: Defense of Saudi Arabia; Liberation and Defense of Kuwait; Ceasefire. Afghanistan: Consolidation II. Iraq: National Resolution; Iraqi Surge. Decorations. Presidential Unit Citations: (Southeast Asia): 20 Nov 1965-8 Apr 1966; 10 Mar-24 Apr 1967; 1 Apr-26 Jun 1972. Air Force Outstanding Unit Awards with Combat “V” Device: 29-30 Jun 1966; 1 Jul 1966-[24 Apr] 1967; [16 Apr]-31 Jul 1969; 1 Aug 1969-1 Aug 1970; 2 Aug 1970-31 Mar 1972; 18 Dec 1972-27 Jan 1973; 1 Sep-31 Dec 1999; 25 May-31 Aug 2003. Meritorious Unit Award: 1 Feb-16 May 2008. Air Force Outstanding Unit Awards: 1 May 1991-30 Apr 1993; 1 Jun 2005-31 May 2007. Republic of Vietnam Gallantry Cross with Palm: 8 Apr 1966-28 Jan 1973. Philippine Presidential Unit Citation (WWII). Emblem. Approved on 27 Oct 1977.